Mad Pride is Weave Youth and Community Services’ annual free youth event. 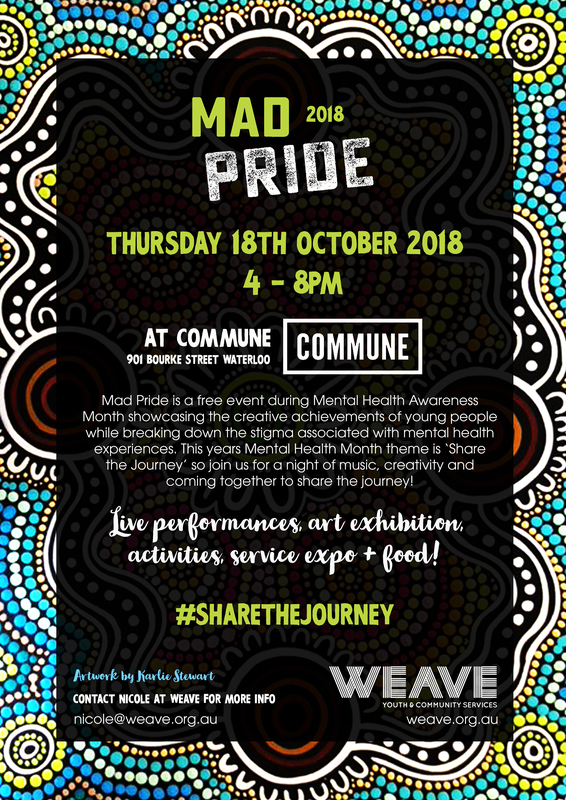 Mad Pride is held each year during Mental Health Awareness Month to celebrate young people’s creative achievements and break down the stigma associated with mental health experiences. It will be a night of full of vibrant performances, art installations, and interactive projects, with the community coming together to celebrate the success of young people.